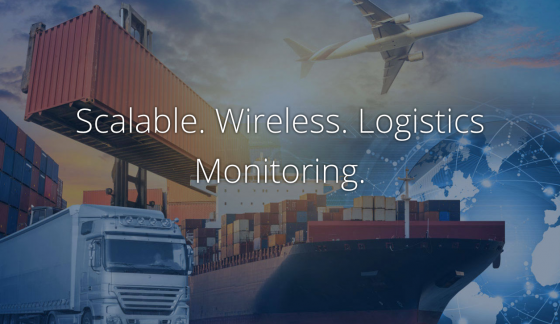 When you’re in the business of logistics and supply chain management, being able to track and monitor your assets in real time is key. Look at your options for making this happen, however, and you’ll find that the market is lacking: all the solutions out there currently rely on existing technologies, such as cellular, RFID, bluetooth, etc – which are not designed for Industrial IoT. Enter Shoof Technologies. Shoof solves this problem by connecting and transporting data from the assets to the cloud in a reliable, secure, scalable and low-cost manner – and unlike what’s currently available on the market, they designed the advanced wireless technology from the ground up and for specifically solving this industrial challenge. Shoof offers a cloud platform and equipment – including base stations and tags – to track assets in motion anywhere, in real time. Range: Shoof’s wireless technology covers a much greater range than the existing technologies today – in fact, it’s range can be up to 100 times longer than most existing technologies. Battery: The battery lasts basically forever. Well, 10 years. But 10 years of real-time data is a lot. Location: Shoof’s system enables tracking both indoor and outdoor – something you won’t find possible with most of the existing technology – and can accurately pinpoint the location of your asset to within 1 meter. Security: Shoof claims their system cannot be hacked – a really important feature for keeping your assets safe. Collaborative: Most systems only work with their own branded items, but Shoof’s platform is intended to be collaborative, meaning it will work with tags that are not from Shoof. Scale: Shoof’s system is highly scalable, with each base station able to monitor up to 100,000 tags, making it perfect for industrial applications. Shoof is currently doing trials with customers, but hasn’t officially launched their services. However, they claim that when they do begin officially shipping, they will be the lowest cost solution for solving this end-to-end asset monitoring and tracking problem. Shoof’s business model is subscription based, and they will charge a fee for base station rental and a monitoring fee per tag.